Music • Free concerts will boast views of national parks. 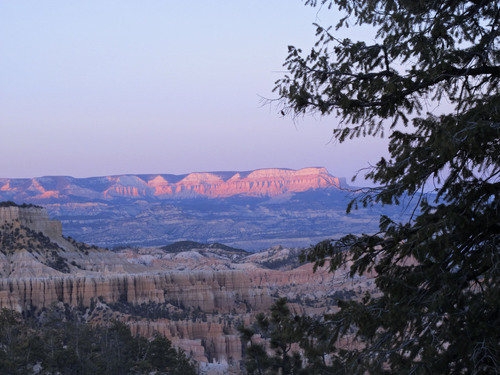 Brett Prettyman | The Salt Lake Tribune A view from the site of Friday's Utah Symphony Mighty 5 performance near Bryce Canyon Nat Francisco Kjolseth | The Salt Lake Tribune The Utah Symphony is hitting the road to play all 5 National Parks in Utah. Musicians Lennie Mahler | The Salt Lake Tribune Utah Symphony Music Director Thierry Fischer, left, speaks to the media and season ticket Utah Symphony music director Thierry Fischer (Courtesy photo) Leah Hogsten | The Salt Lake Tribune Celena Shafer as Musetta. La Boheme Wednesday, October 6, 2010, in Salt Lake City. Kim Raff | The Salt Lake Tribune Thierry Fischer conducts the Utah Symphony during a performance at Abravanel Hall in Salt Lake Lennie Mahler | The Salt Lake Tribune Utah Symphony Music Director Thierry Fischer speaks to press and membership holders about Leah Hogsten | The Salt Lake Tribune Celena Shafer as Musetta. La Boheme Wednesday, October 6, 2010, in Salt Lake City. Brett Prettyman | The Salt Lake Tribune A view from the site of Friday's Utah Symphony Mighty 5 performance near Bryce Canyon National Park. Francisco Kjolseth | The Salt Lake Tribune The Utah Symphony is hitting the road to play all 5 National Parks in Utah. Musicians Claudia Norton and her husband Nick lead the way. 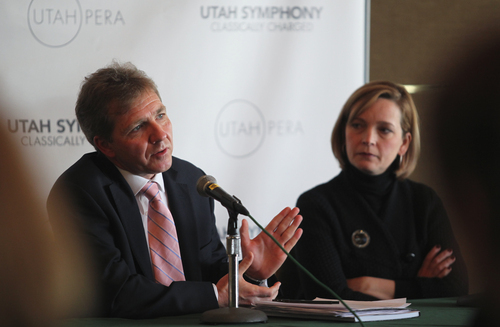 Photo illustration by Francisco Kjolseth Lennie Mahler | The Salt Lake Tribune Utah Symphony Music Director Thierry Fischer, left, speaks to the media and season ticket holders about the Utah Symphony 2012-13 season, "Classically Charged," as Utah Symphony President and CEO Melia Tourangeau listens. Utah Symphony music director Thierry Fischer (Courtesy photo) Leah Hogsten | The Salt Lake Tribune Celena Shafer as Musetta. La Boheme Wednesday, October 6, 2010, in Salt Lake City. Kim Raff | The Salt Lake Tribune Thierry Fischer conducts the Utah Symphony during a performance at Abravanel Hall in Salt Lake City on February 15, 2012. Lennie Mahler | The Salt Lake Tribune Utah Symphony Music Director Thierry Fischer speaks to press and membership holders about the Utah Symphony 2012-13 Season, "Classically Charged." 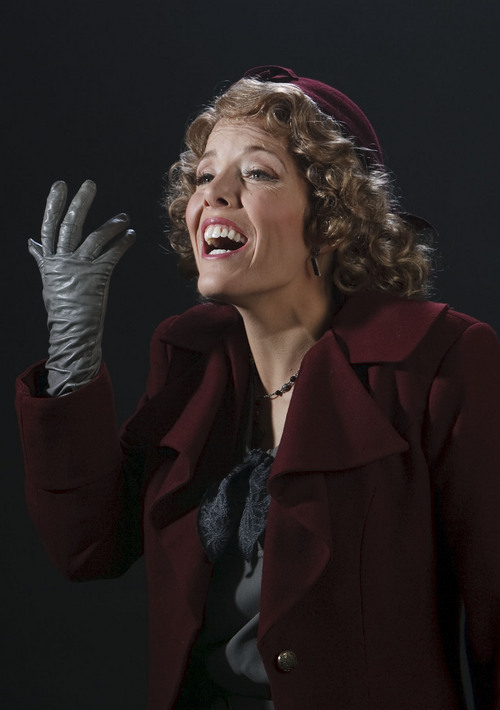 Leah Hogsten | The Salt Lake Tribune Celena Shafer as Musetta. La Boheme Wednesday, October 6, 2010, in Salt Lake City. The idea of combining some of Utah&apos;s scenic treasures with one of its cultural icons was an instant hit at the Utah Symphony office. Figuring out how to execute an orchestra tour of the state&apos;s five national parks was another matter. 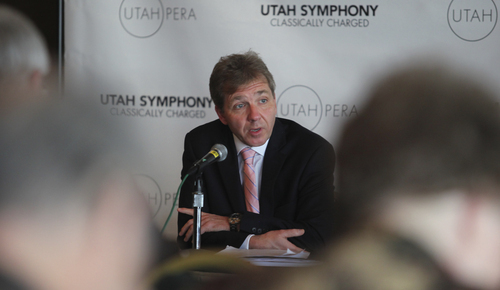 It became clear right away to Utah Symphony | Utah Opera Vice President and COO David Green that, without careful and sensitive planning, the missions of the orchestra and the parks could wind up at cross-purposes. There&apos;s no way to drop more than 80 musicians, with all their instruments and equipment  let alone an audience of several hundred  into the middle of a park without leaving a mark. "Major infrastructure doesn&apos;t exist out there," said Green, who noted that the orchestra was committed to leaving the venues exactly as it found them. "We had to find locations that were suitable. That took a while." 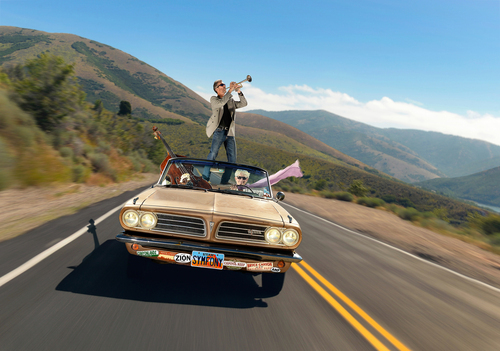 Zion National Park is the only one of the five with an existing concert venue nearby  the O.C. Tanner Amphitheater in Springdale, just outside the park. In what Green and US | UO President and CEO Melia Tourangeau called "an Olympic feat," the orchestra will take a rented, portable stage setup to the other sites: Teasdale, near Capitol Reef; Red Cliffs Lodge in Moab, near Arches and Canyonlands; and Ruby&apos;s Inn, just outside Bryce Canyon. The stage itself will be converted from the bed of a flatbed trailer. The back and sides will be breathable mesh, to maximize the audience&apos;s view of the scenery. Green said the setup takes eight to 10 hours, with an additional six hours to break it down again, making the operation a round-the-clock venture when travel time is factored in. This required careful scheduling of rotating crews. "There are multiple itineraries," Green said, demonstrating the thick binder he&apos;s been using to organize the tour. In addition to the semi hauling the stage, the traveling contingent will include at least six vans, five or six cars, a pickup truck with a generator, two buses carrying orchestra members, and the 25-foot Utah Symphony instrument and equipment truck. There will be a total of 75 support staffers, plus numerous volunteers from the local communities. All events on the tour are free; the orchestra secured a mix of private and public funding to cover its costs, which Tourangeau estimated "in the $600,000 range." Then, Green said, there were "lists and lists and lists" of practical considerations, from exit lighting and restroom facilities to emergency substitute musicians to provisions for rain, wind, lightning and dust. "The more you think about it, the more detail you find," he said. In the 16 months or so since the idea was hatched, Green has made five trips from his Abravanel Hall office to each of the parks with members of various US | UO departments. He extolled the enthusiasm and expertise they encountered at the parks and neighboring communities. The concerts themselves will include selections from the standard symphonic repertoire, albeit shorter ones. 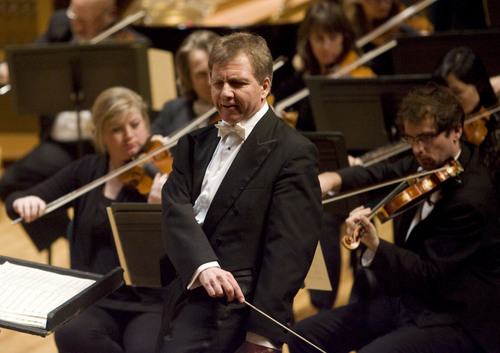 Utah Symphony music director Thierry Fischer said he chose shorter pieces, such as Shostakovich&apos;s "Festive Overture," the Orchestral Suite from Bizet&apos;s "Carmen" and two movements from Dvorak&apos;s Symphony No. 9, because "we have to be flexible" in case of weather-related delays. 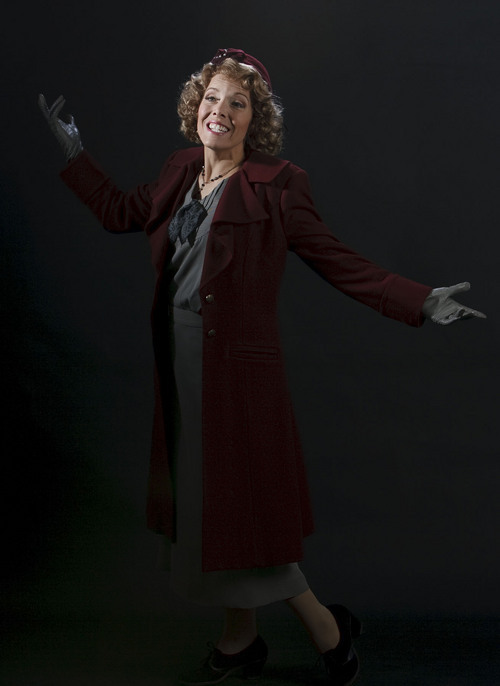 Utah-based opera star Celena Shafer will be the soloist. During the day, the organization&apos;s education staff will present activities at the lodges in collaboration with park staff. They will travel ahead of the musicians as a sort of advance guard, said US | UO education director Paula Fowler. These educational activities will have an observational and a participatory component. The Aspen Winds quintet will perform nature-friendly music such as Samuel Barber&apos;s "Summer Music," Jenni Brandon&apos;s "Five Frogs: Catching Bugs" and "Zion&apos;s Walls" from Aaron Copland&apos;s "Old American Songs." Visitors also will learn about the music of local birds. Fowler and her staff worked with rangers to identify birds that are native to all the parks. They bought bird calls from the Cornell Lab of Ornithology and transcribed the bird songs three octaves below their actual range so visitors can sing them or play them on a giant battery-operated piano mat. Children can count their experiences toward a Junior Ranger badge. The Utah Symphony will perform free concerts at Utah&apos;s five national parks. Parking note • There will be free parking near each venue and a shuttle at every venue except the Teasdale park. In addition, there will be chamber concerts and educational events inside each park throughout the week. Details at http://utahsymphony.org/mighty5. 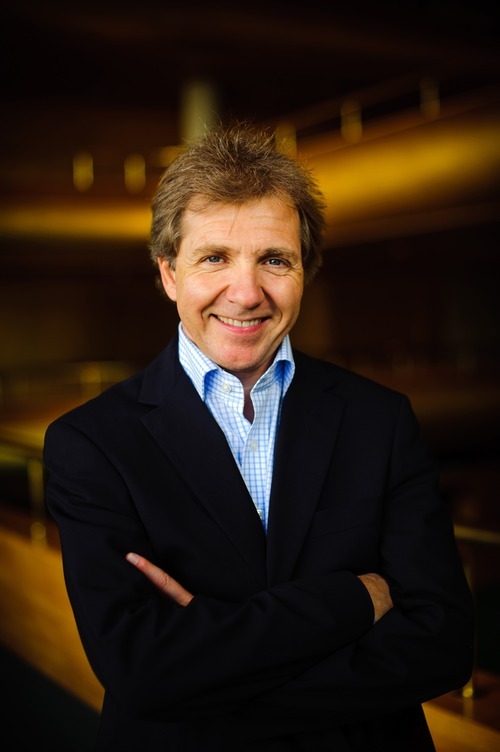 Music director Thierry Fischer will conduct the orchestra in Shostakovich&apos;s "Festive Overture," the first and last movements of Dvorak&apos;s Symphony No. 9 ("From the New World"), Johann Strauss&apos; "Voices of Spring," the Orchestral Suite from Bizet&apos;s "Carmen," the aria "Quando me&apos;n vo&apos; " from Puccini&apos;s "La bohème," "Summertime" from Gershwin&apos;s "Porgy and Bess" and Gershwin&apos;s "An American in Paris." Soprano Celena Shafer is the soloist.